It appears as though the fills for Achievements tiles are not updated as we progress to more challenging and rewarding achievements. 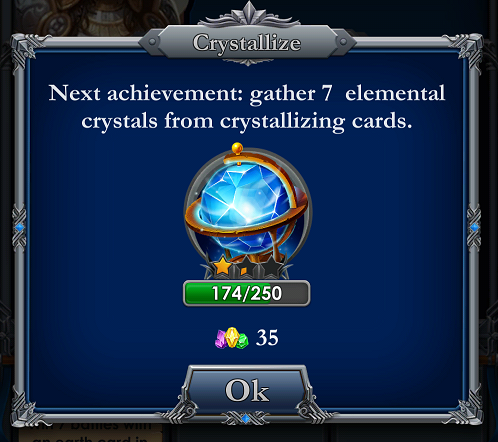 Next achievement: gather 400 elemental crystals from crystallizing cards. It happens on quests too. At least it is consistent. 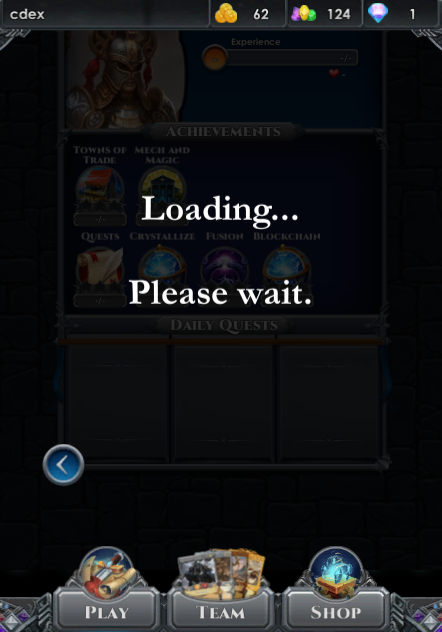 Here we moved past the initial requirement of three daily quests but the display is not keeping up with us. 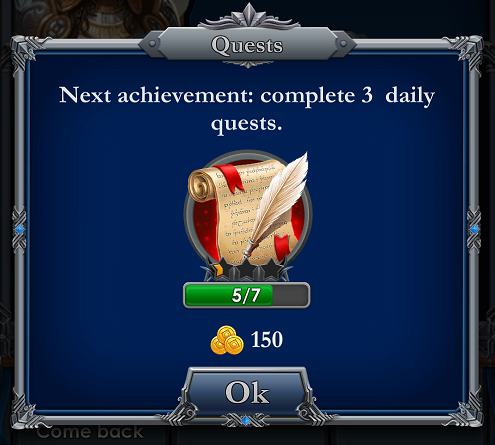 I think it should read: Next achievement: complete 7 daily quests. Fill should be the denominator 7 .... whatever the current level happens to be. Looks to me like the FUSE CARDS tile has the exact same issue. So if you are looking into the code check this achievement as well. I suspect it is a small thing. Just thought you might want to know what we see on this end. Thanks for looking into this or these CR's. Actually they should be submitted into 3 change requests or defect reports if you will. Since they need to be worked and tested each independently. However, change requests like this that are all about the same kind of issue can be batched. For example you may approve and work a whole stack of typo or spelling errors together. I think it is best to keep each on it's own CR so that we get credit for working them and incase one of five for example is troublesome we can clear (approve, work, test and complete) a number of CR's quickly. One may linger but you get credit for working the others quickly. It also lets us see the singles that are not getting done. I know. Preaching to the choir. I have some spelling or English grammar changes to report but need to use my stamina. Going back in game. Thanks for the report! Keep them coming. 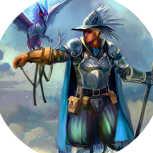 The descriptions are indeed not correct anymore, we've added it to our bug list. Great catch mate, I was very confused too at first. I know that means something is coming soon and I remember there was something above them in the .apk versions. yup, i've seen this too but never fast enough to screenshot. made a new topic for it. Yeah I noted it too but could't reproduce it to take a screen. It seems to say: "towns of trade" and "mech and magic". What is that going to be? Related to the announcement about "Nova Crystalis" which just came in by email?